Top safety concerns in the manufacturing industry - De website van salvettifoundation! Exposed wires, fatigued workers, poorly maintained equipment. Manufacturing facilities are riddled with risks, both hidden and out in the open. If you don't know where to begin looking, such hazards can result in serious injury or death. Below are, a according to CFE Media, a few of the biggest safety concerns in any manufacturing setting. Machinery and equipment that isn't properly maintained can be very dangerous. Even equipment with fail-safes can malfunction if you do not perform regular maintenance checks. To minimize the risk, have your equipment inspected on a regular basis by a professional, whether in-house or contracted. And don't rely solely on those spaced out inspections; make sure that your employees know how to perform a quick inspection before and after using each piece of machinery. The people who come in regular contact with your equipment should know what a machine looks like, how it smells and how it sounds when operating properly. They should know how to spot warning signs immediately, such as exposed wires, burning or electrical smells, abnormal wobbles, grinding or scraping noises, or any other irregular sounds. If a machine is deemed potentially unsafe, it should be shut down immediately for repairs. Onsite workers should not attempt to repair malfunctioning equipment on their own without first alerting a supervisor. Proper maintenance will only get you so far. Many machines in manufacturing are dangerous regardless of whether they are working exactly as they are intended to. Take chemicals, for example, you can't simply remove the risk of a dangerous chemical by doing a quick check, but you can make sure all chemicals are properly labeled and that employees are equipped to handle them properly. Many machines heat up quickly and pose a fire hazard, even when operating correctly. It's your responsibility to know the limits of your equipment and communicate them to all workers. Confined spaces are another permanent hazard that can be difficult to address. As confined spaces exist in most manufacturing settings, it is important for your employees to understand the risks of becoming entrapped or finding themselves in an oxygen-depleted area. Address that risk with training, exhaust blowers and confined space rescue equipment, and always make sure employees in such conditions work in pairs. Proper training is your best defense against these types of hazards, which brings up the next danger. Your facility is only as safe as the people working in it. Your employees should undergo regular training on all equipment they might come in contact with. It should include proper operations as well as how to check that everything is working as it should. As machines are upgraded and replaced, training should be repeated. Workers should be exposed to periodic safety training, as well, so that they know the most current best practices for keeping themselves and their co-workers safe. This should include emergency response for burns or other injuries, how to recognize symptoms of gas or chemical exposure, and who to contact during an emergency. And all employees should know how and when to evacuate a facility. In the event of an emergency, easy access to medical equipment is crucial. Your facility should be stocked with an assortment of first aid equipment, including both general first aid response items, as well as, some tailored to your specific work environment, and they should be well identified. All employees should have at least minimal training for using the first aid equipment. In many cases, it is necessary to have staff members who are specially trained in first aid, CPR or confined-space rescue. An employee who grows complacent about safety can be a huge liability for you. Most workplace accidents can be prevented simply by being alert. Heavy machinery, vehicles and forklifts can be especially dangerous. 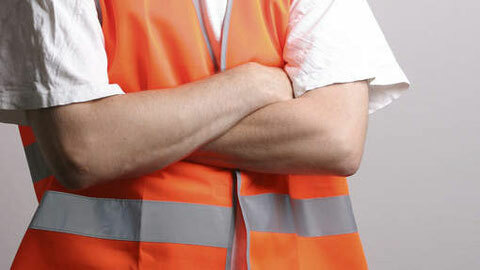 It is important for you to require workers to be constantly vigilant. Strictly enforce safety codes, and give your employees a safe way to report questionable activity. In some cases, you can provide extra equipment to help workers prevent careless mistakes. For example, safety mirrors can be very useful for machine operators who must constantly look over their shoulders for other employees. Be sure to give your workers breaks throughout the day so that they don't become fatigued on the job. Work sites should only be open to the people trained and paid to be there. Friends, family members and employees from other departments should not be granted access to areas where work is being done. Identify restricted areas with signs and tape. In many cases, it is necessary to limit access with locked gates and doors. Let your workers know to report any unauthorized people in your facility.